Earlier today, Samsung had a big press event to promote its upcoming devices. After a rough late 2016, the company seems to have pulled out all the stops for the star of the event: the Galaxy S8. You can expect the Galaxy S8 to come in two sizes. There’s the 5.8-inch screen model and the 6.2-inch model S8 Plus. Both displays have a resolution of 2960×1440. The screen itself takes up most of the face of the phone and curves on the sides. As expected, the physical buttons are out of here and it has display buttons with haptic feedback. The fingerprint sensor has been moved to the back similar to LG G and LG V-family smarphones. 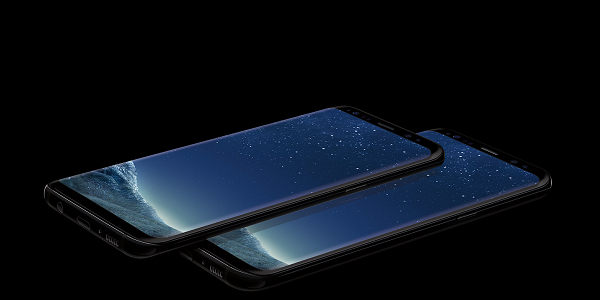 In the U.S, the Galaxy S8 and S8 Plus comes in standard black, silver, and gray while outside the U.S customers pick up blue and gold phones. The Galaxy S8’s processor will be the Snapdragon 835, but depending on the region it could be Samsung’s Exynos. It comes with a 3,000 mAh battery for the standard S8 and 3,500 mAh for the S8 Plus. Given that the company is using a new approach to testing batteries, thing should go smoothly for customers. The camera is what you’d expect from reports on a new phone model: rear camera is there, front camera has been improved. The S8 comes with iris scanning for unlocking the phone, a feature I enjoyed on the Note 7. It’s my favorite method to unlock actually, but also here is facial recognition which looks to be the best for an Android smartphone yet. The main event for software was Bixby. This was what drew my curiosity upon hearing about the Galaxy S8. Bixby is Samsung’s crafted personal assistant and in the presentation, Samsung put it through its paces. Voice seems to be huge with Bixby as it carried out actual tasks that you might have handled with your fingers. This different from being able to use a personal assistant with your device across the room by saying “Okay [assistant]” and ordering it to do some simple task. With Bixby, you need to have your S8 or S8 Plus with you for certain tasks. That’s the thing with Bixby, it’s to handle most touch function with your voice. Now the drawback is that apps have to be made with Bixby in mind. Now Bixby hasn’t just abandoned the base tasks that personal assistants do such as “Call this person” or “Set an alarm” but this one allows you to do a lot more. If you’re looking to pick up the S8 or S8 Plus, preorders start March 30th and will ship on April 21st in the U.S. Potential Depending on the carrier, Galaxy S8 owners can expect to pay $720-$750 for the 5.8-inch model and the 6.2-inch model between $840-$850.